And this is the will of him that sent me, that everyone which seeth the Son, and believeth in him, may have everlasting life; and I will raise him up on the last day. Make a statement. With a BOC Video Directory! 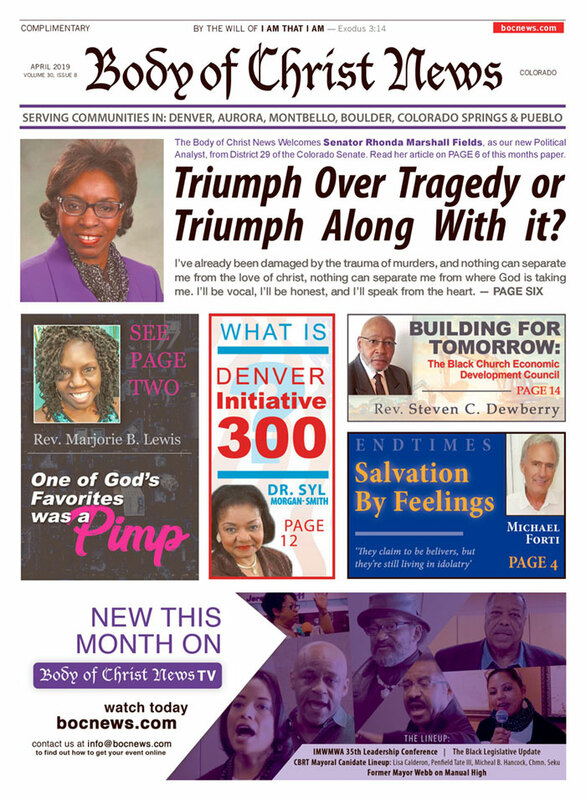 Body of Christ News is an independent, non-profit newspaper that has served Colorado’s Black communities since 1988. It is the mission of Body of Christ News to bring all nations together in the Word of God.